For over 30 years, John has been an integral part of Whitelaw Twining’s general insurance litigation practice. 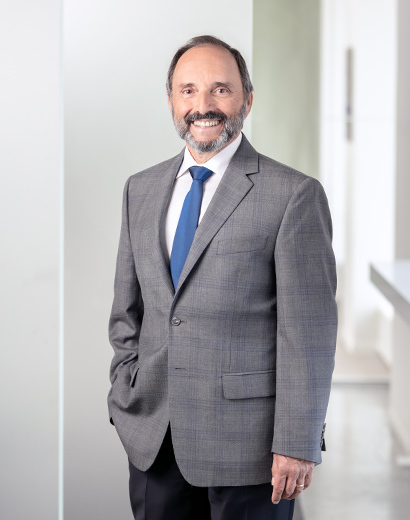 He has a wealth of experience at all levels of the British Columbia court system in virtually all areas of practice be it property, bodily injury, construction, or professional liability related disputes. As counsel, he leads strategies for clients dealing with casualty, construction and surety claims. John practices as appellate counsel and as a mediator and continues to provide advice to our surety clients. John has mediated a variety of legal disputes including moderate to catastrophic bodily injury claims, insurance coverage disputes, construction, real estate and professional liability claims as well as landlord tenant disputes. John brings a pragmatic approach to solving problems. He will work relentlessly to resolve disputes at mediation and when required will continue to do so post mediation. He is tenacious, direct and effective. When not mediating, John enjoys jogging—he’s run six marathons and an ultramarathon. You’ll find him on the slopes in the winter and hitting the golf course in the summer.